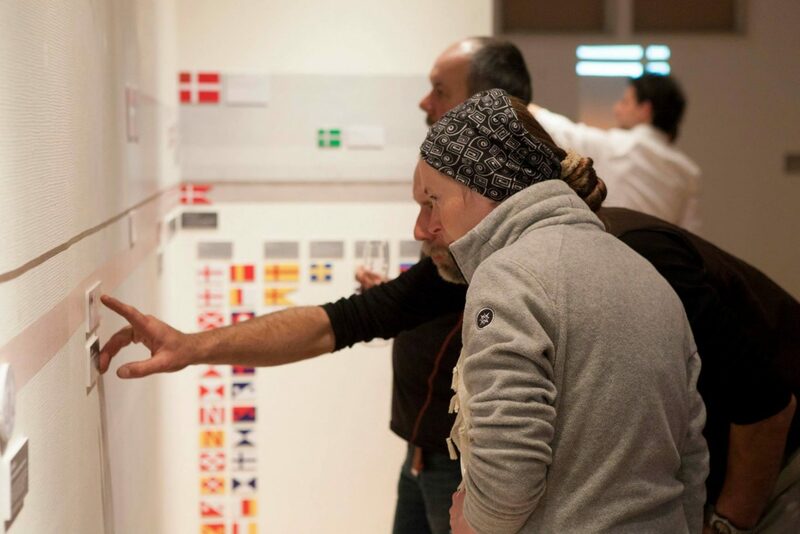 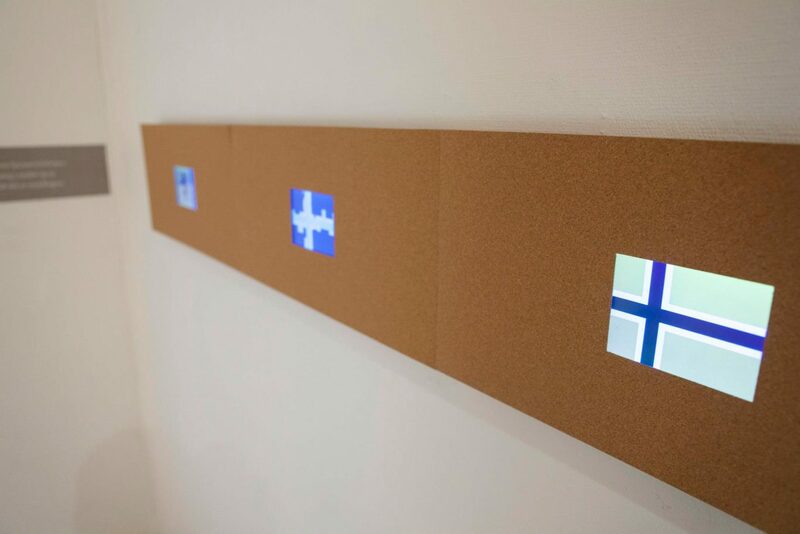 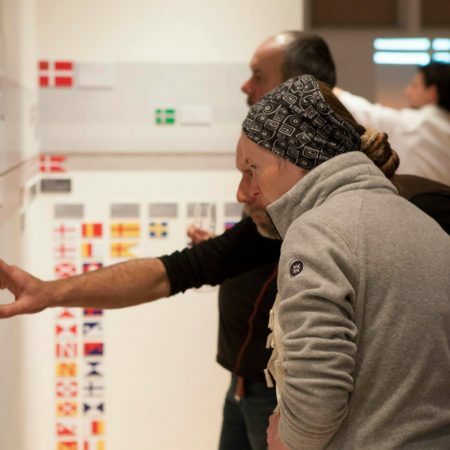 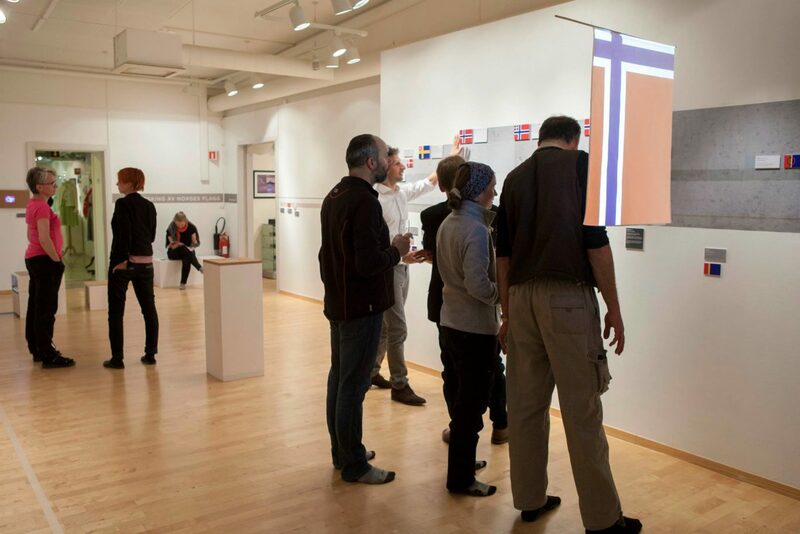 In the frame of the 90 anniversary of the Svalbard treaty, antipodes café presented the second solo exhibition of the project “Explorations in the Norwegian flag”. 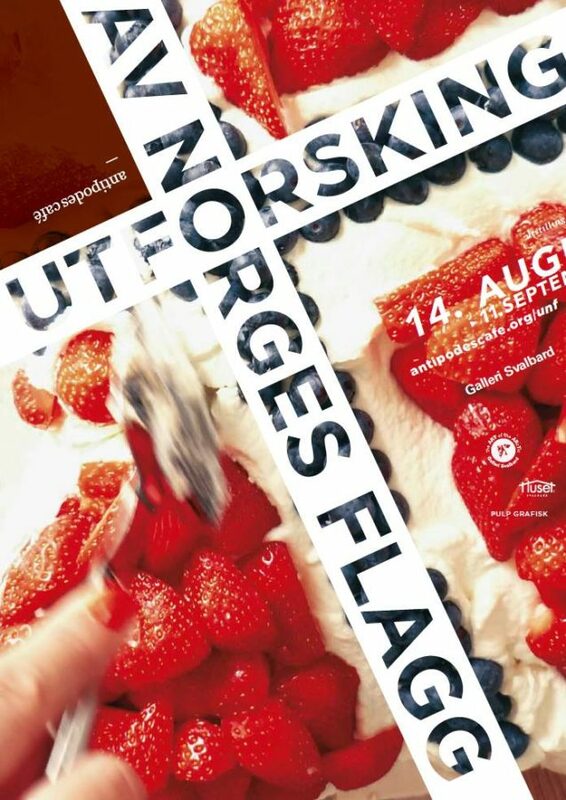 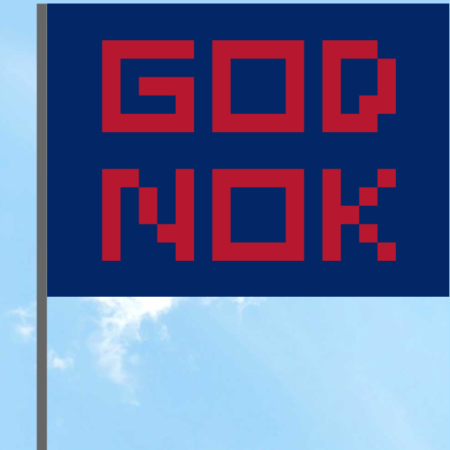 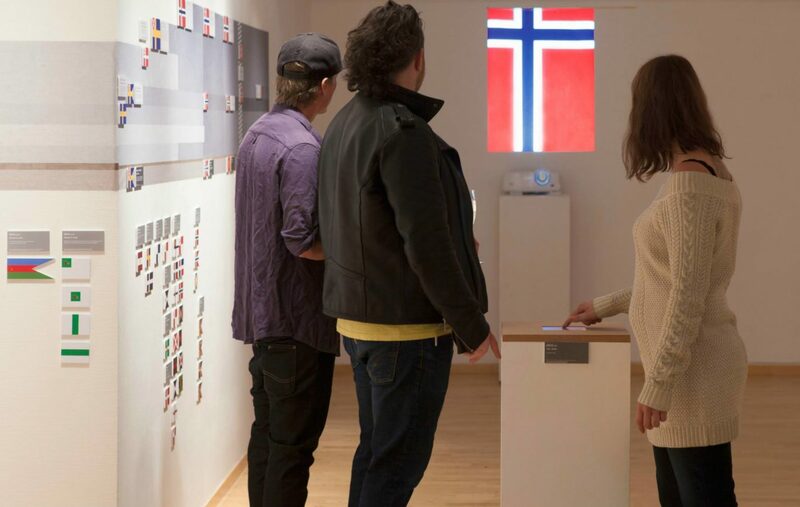 A timeline of the history of the Norwegian flag, including official suggestions , both redraw with a same criteria as in the website of the project. 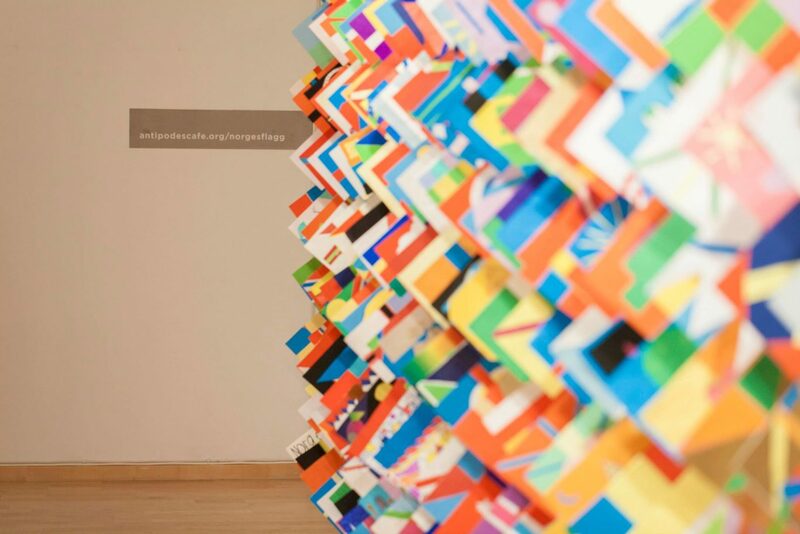 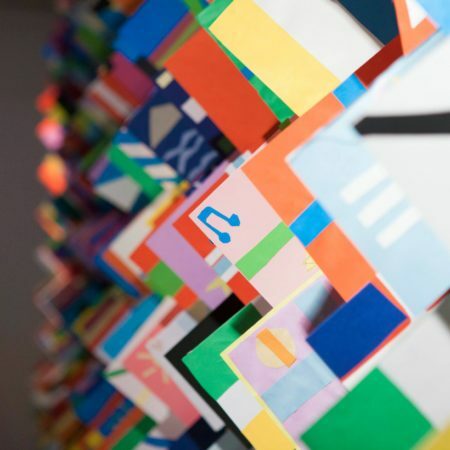 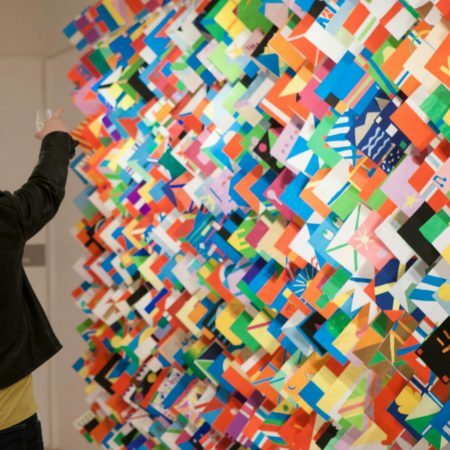 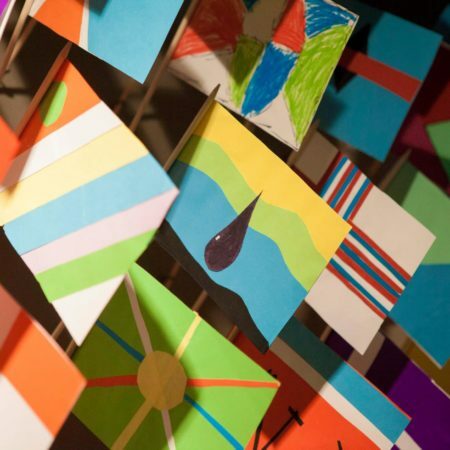 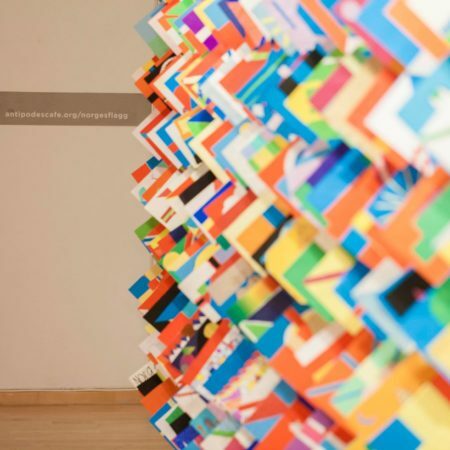 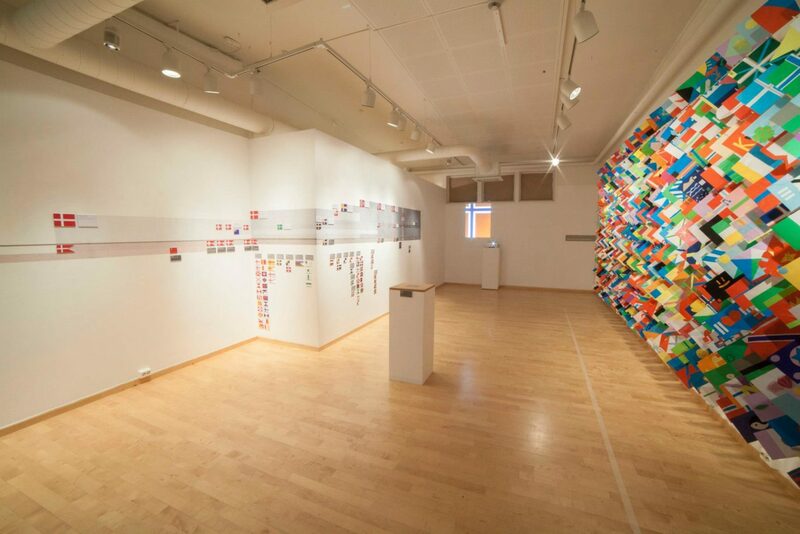 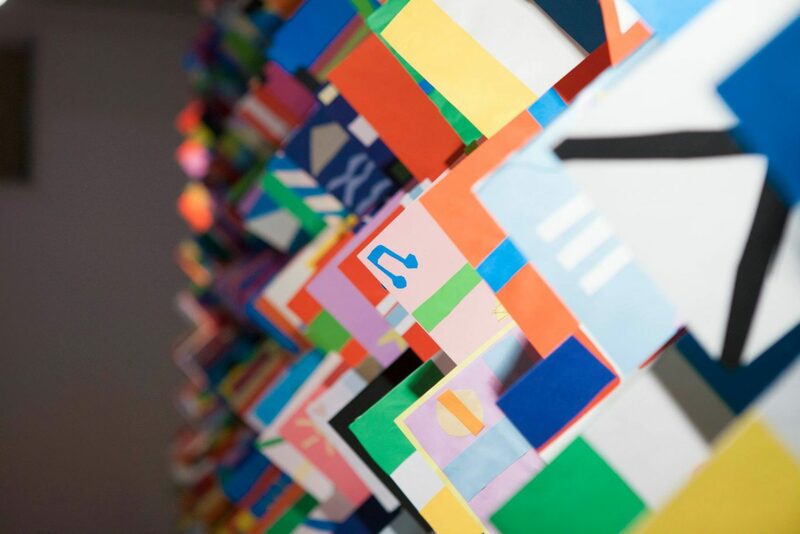 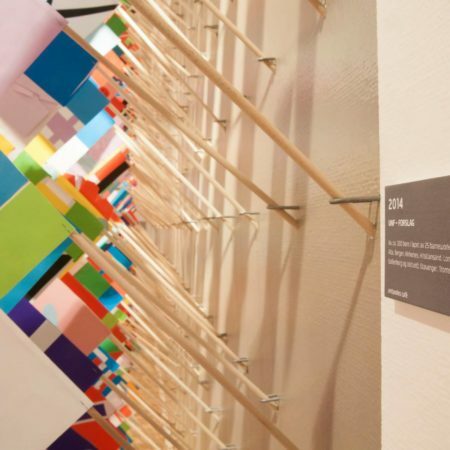 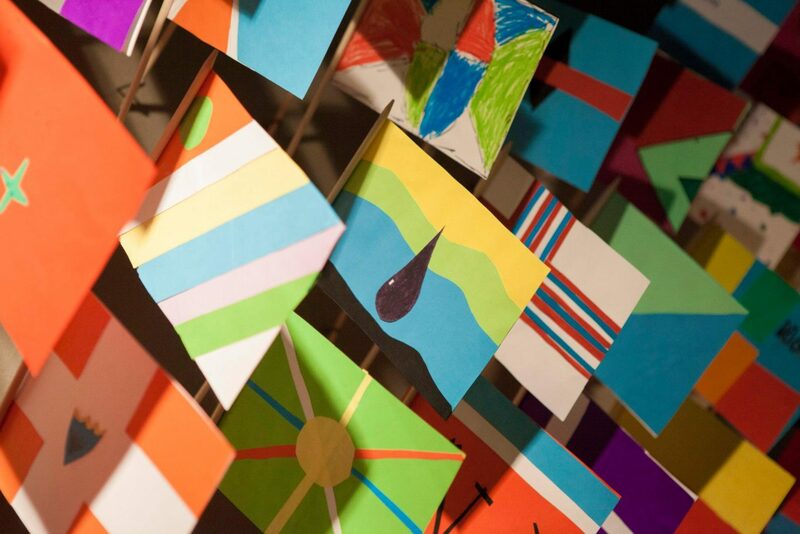 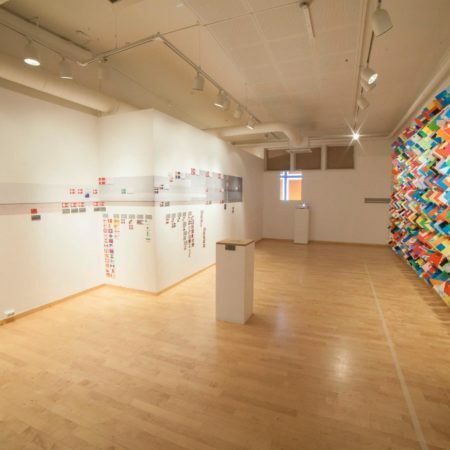 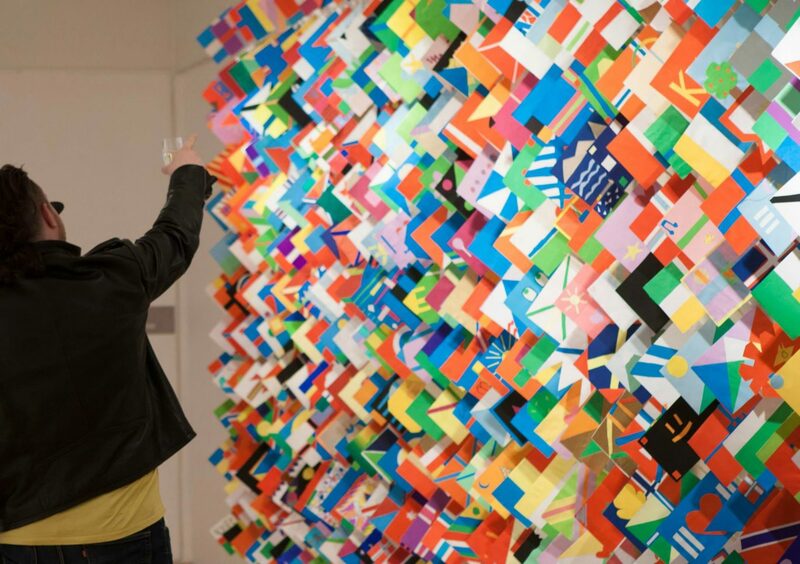 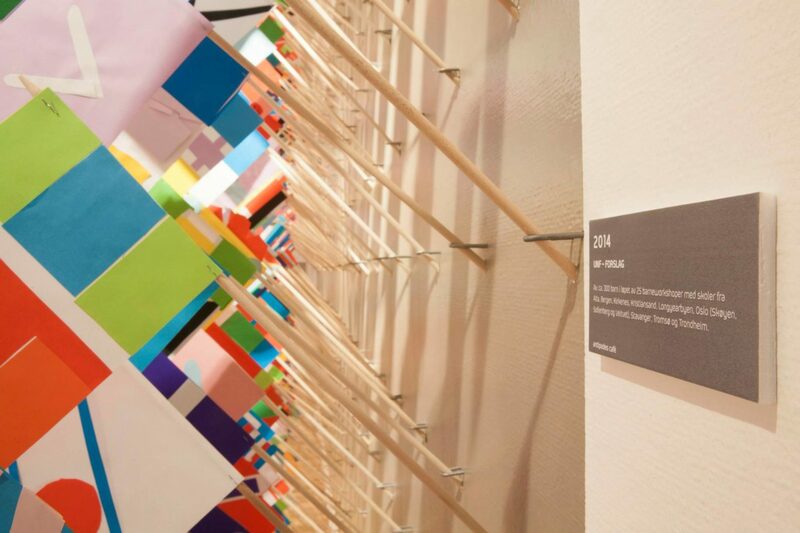 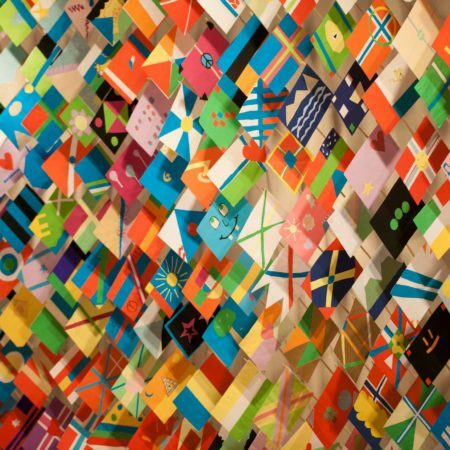 An installation presenting more than 500 proposals of personal flags made in workshops, related to the project, at diverse schools around the country. 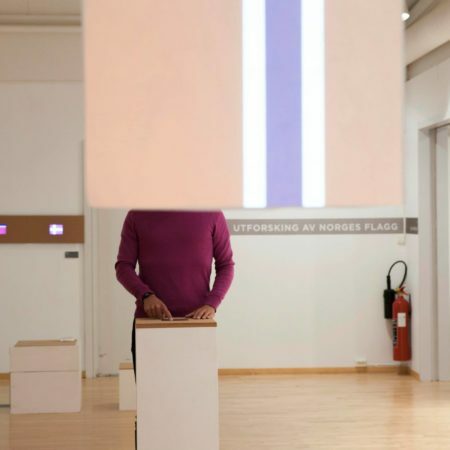 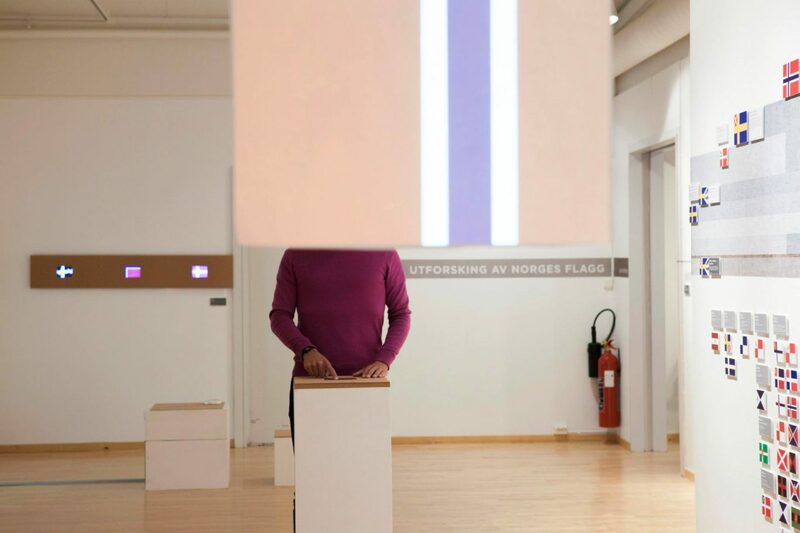 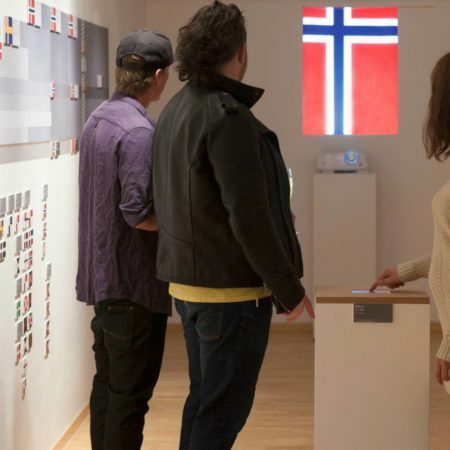 An interactive installation called “Endre”, where the current Norwegian flag could be altered by visitors. 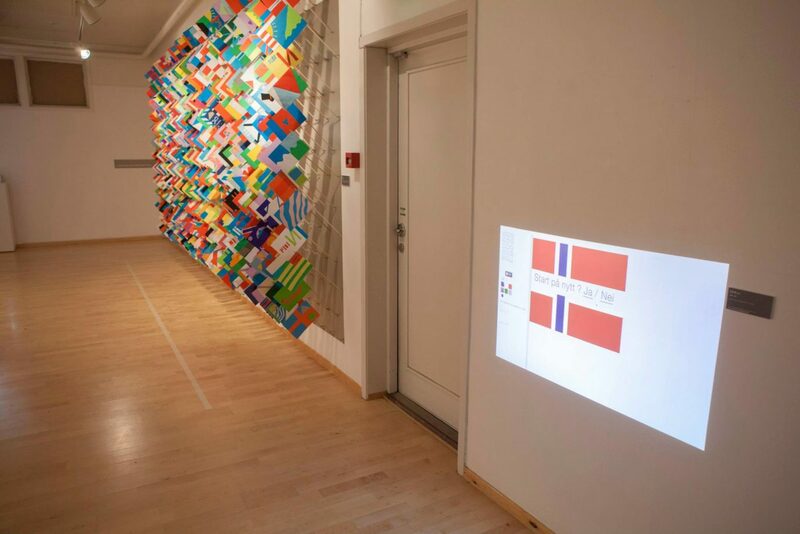 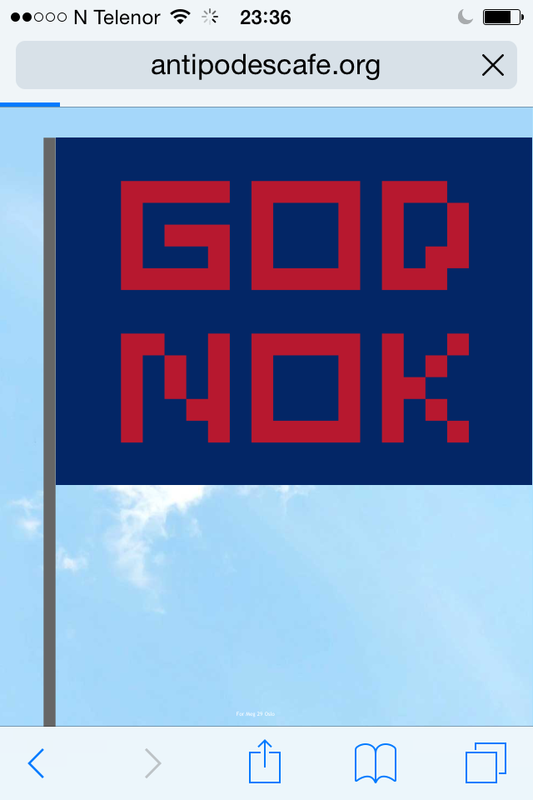 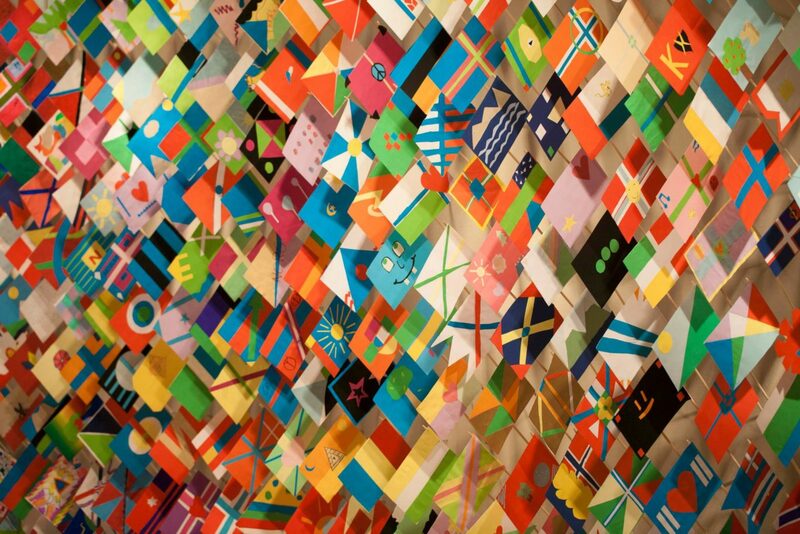 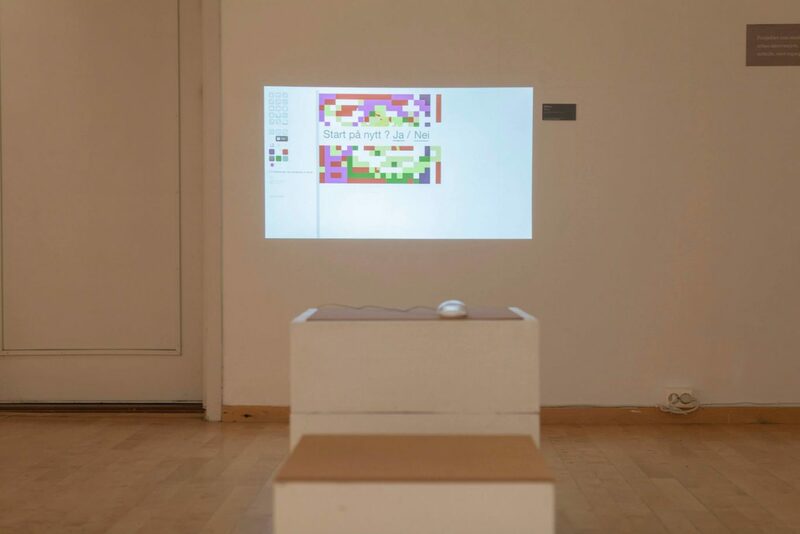 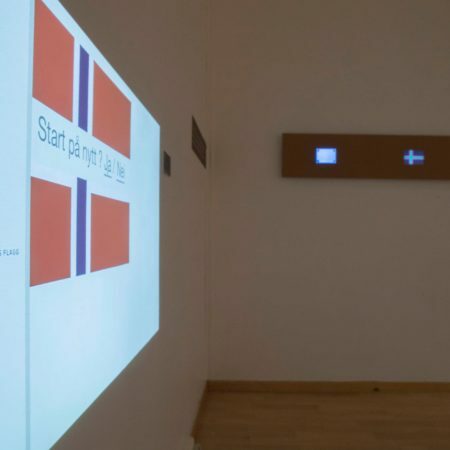 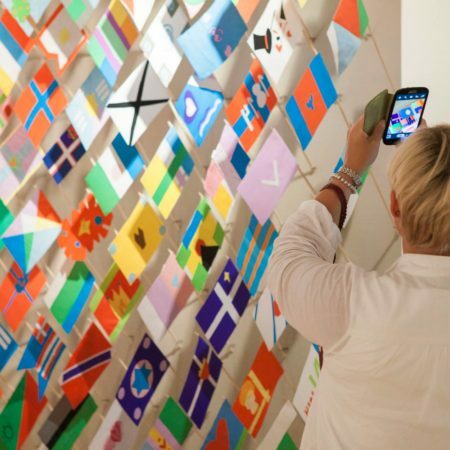 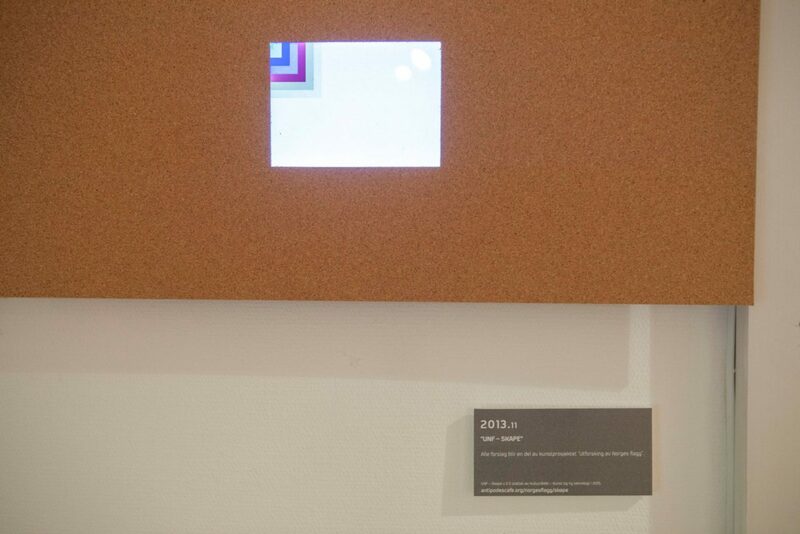 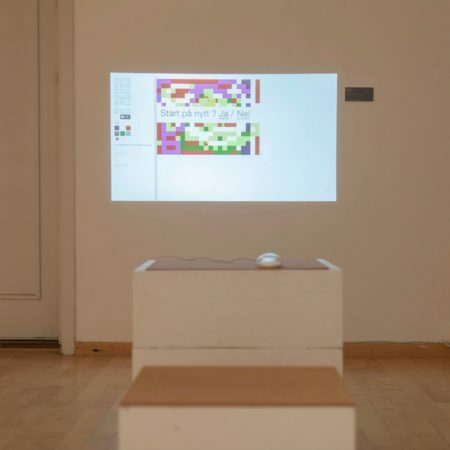 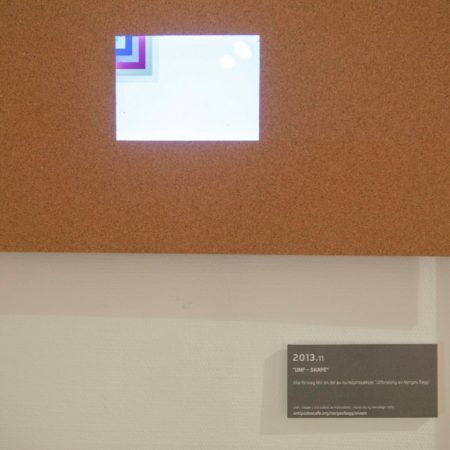 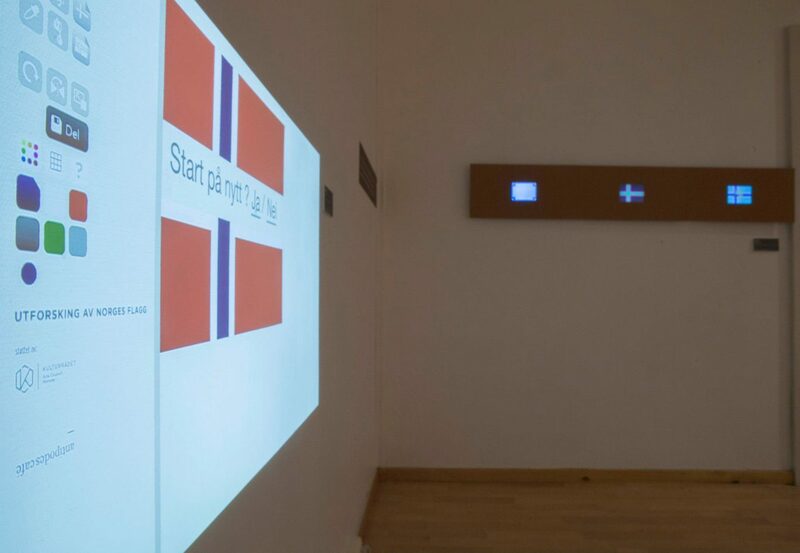 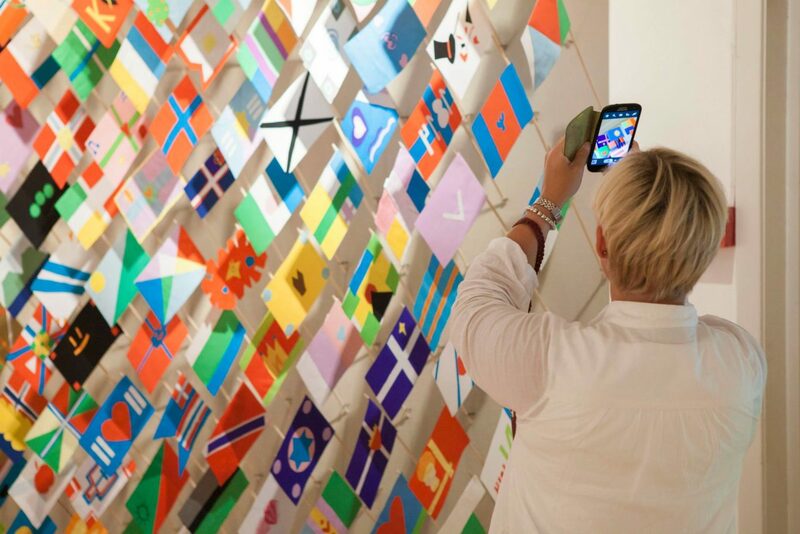 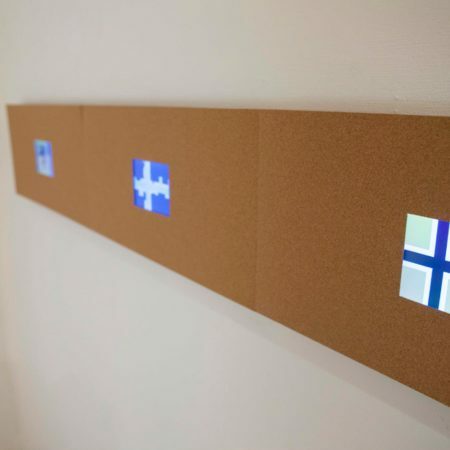 An interactive installation where visitors were allowed to develop their own flag, or see the flag designed by others by using the digital platforms ”Skape” and ”Se”. 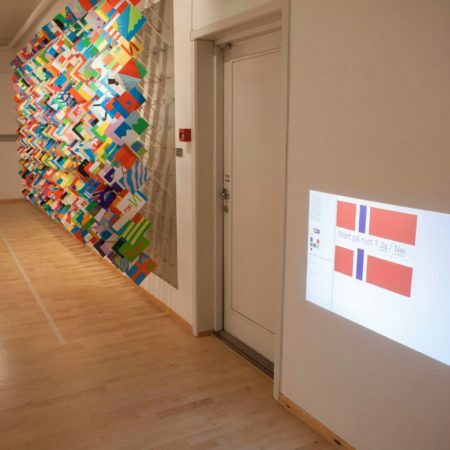 The subtle artwork ”Memoria”, where all windows of the gallery were blinded, as a gesture reminding the windows of Oslo, -still- covered after the terrorist attack in Oslo. 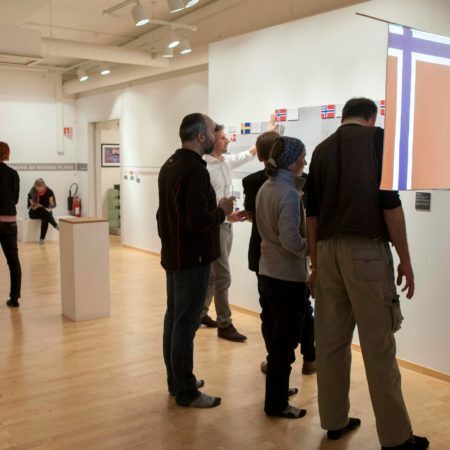 The exhibition was open the same day as the 90 anniversary of the Svalbard treaty and was promoted and covered by local media.